Here at ETB, the summer months are particularly busy due to a high demand in school furniture for the new term. Our manufacturing facility has started to pick up pace, and our team are working hard to complete various projects. We take great care to ensure that each product leaves our manufacturing facility in pristine condition. 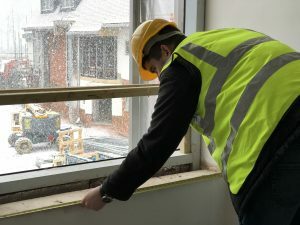 Our installation teams are now also almost fully booked for the summer, they will be busy installing furniture onsite for a range of projects over July and August. During this period, it is essential that we run a tight ship in order to provide our customers with high quality products whilst also adhering to strict delivery schedules for the new school term. At the core of our company is our dedicated manufacturing staff, without our skilled craftsmen our furniture would not be what is it is today. Over the years, our team have developed and improved our furniture ranges through experience and adapted them to be able to withstand many commercial and educational environments. As we continue to prepare for deliveries over the summer, please do not hesitate to contact us for a quotation or for further information. Our dedicated team would be more than happy to assist.